With Yingluck elected as the first female PM, last Friday is not only a historical day in Thai politics. 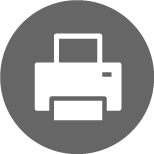 It is also a historical day for the Shinawatra family, since the clan now has three Prime Ministers (the second one is Somchai Wongsawat, who is the brother-in-law of Thaksin). Having three PMs makes Shinawatra a prominent political family. It becomes an important family like Pramoj (р╕Ыр╕гр╕▓р╣Вр╕бр╕К), Vejjajiva (р╣Ар╕зр╕Кр╕Кр╕▓р╕Кр╕╡р╕зр╕░) or the former “Ratcha Khru Group” (р╕Бр╕ер╕╕р╣Ир╕бр╕гр╕▓р╕Кр╕Др╕гр╕╣ – Choonhavan/Adireksarn/Thapparansi). If we count only the number of PMs in the family, the Shinawatra surpasses the Pramoj brothers and are now tied with Nehru-Gandhi of India (though the level influence is debatable). On the surface, Shinawatra is Thaksin-centric. It is very true that he is the leading (and sole) force to bring the family to power. But digging back deeper, Thaksin is not the first member in the family who entered into politics. 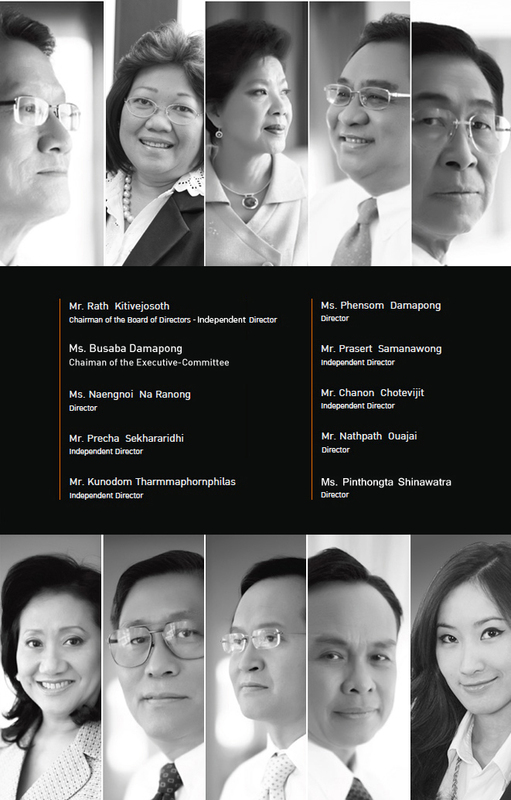 The Shinawatra family has been involved with politics long before Thaksin, and accumulated “political experience” that Thaksin could utilize. 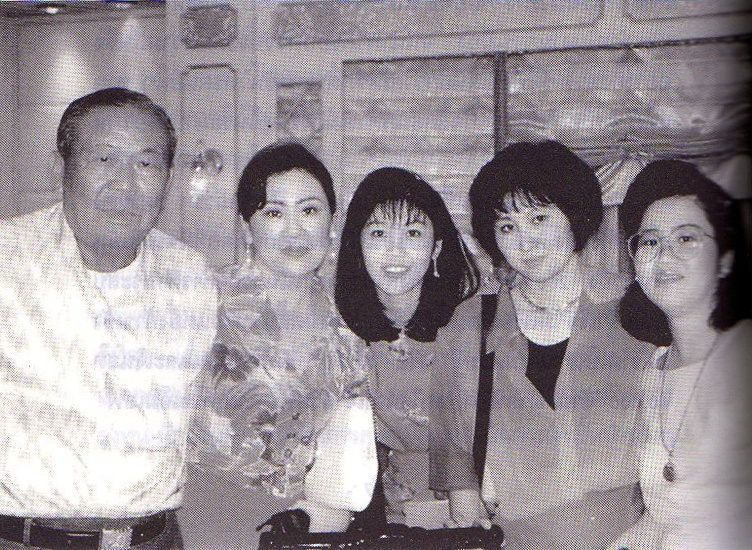 To understand Shinawatra family better, we need to look back from the start. 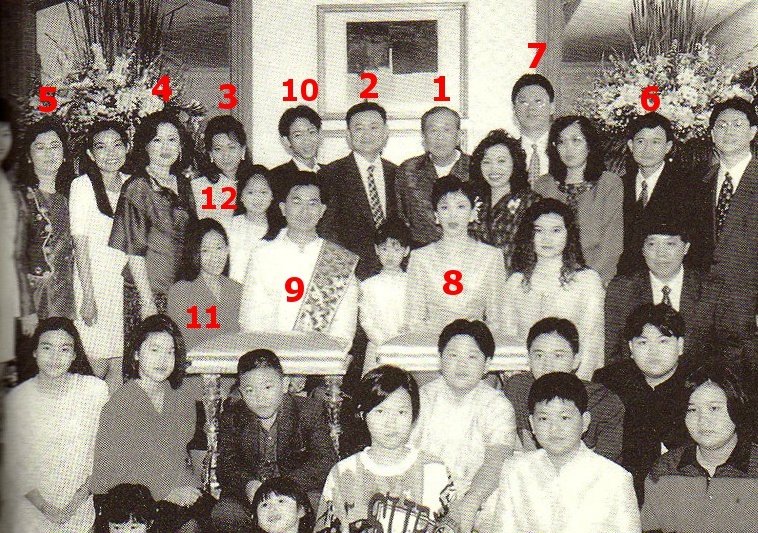 Thaksin, Somchai and Yingluck is just the fourth generation of this overseas Chinese family. 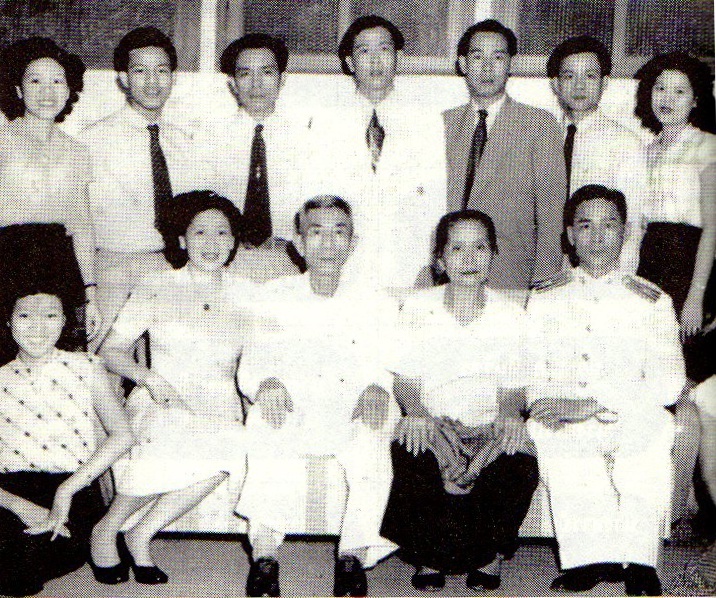 The first ancestor of the Shinawatra family is “Seng Sae Ku” (р╣Ар╕кр╣Зр╕З р╣Бр╕Лр╣Ир╕Др╕╣) or “Ku Shun Seng” in Chinese naming format. He came from Guandong province in his early teenage years around 1860. He first stayed in Chanthaburi for a while, moved to Bangkok and then to Chiang Mai for the cattle business. He married a Thai woman and they had nine children. The first child of Seng was called “Chiang” (р╣Ар╕Кр╕╡р╕вр╕З р╕Кр╕┤р╕Щр╕зр╕▒р╕Хр╕г). He helped his father in the cattle business and switched to silk trading. The family then pioneered the silk industry, turning it from local handicraft to a complete silk business. The corporation name was Shinawatra Thai Silk (р╕Кр╕┤р╕Щр╕зр╕▒р╕Хр╕гр╣Др╕лр╕бр╣Др╕Чр╕в). They changed their surname from the Chinese clan name to Shinawatra in 1938. Kemthong (р╣Ар╕Вр╣Зр╕бр╕Чр╕нр╕З) the first child, daughter. She oversaw the family silk business and then married. Later, she moved to Bangkok and started her own silk business in the Sukhumvit area. Sak (р╕ир╕▒р╕Бр╕Фр╕┤р╣М) the second child. He was a soldier and father of Chaisit, former Army Chief. Lert (р╣Ар╕ер╕┤р╕и) the fourth child. He is the father of Thaksin and Yinglak. Suraphan (р╕кр╕╕р╕гр╕Юр╕▒р╕Щр╕Шр╣М) the seventh child. He succeeded Lert’s political career. Lert is the most outstanding child in the third generation. He first helped the family business but later moved to start his own, non-silk, business. He started with a cafe in Sankamphaeng, Chiang Mai, then expanded his business portfolio to orchards, theater, bus line, car dealer and gas station. Once he turned 48, he entered local politics as a member of Chiang Mai Provincial Council. In 1969, he entered national politics as a Chiang Mai MP (Chuan Leekpai served his first MP term this year, the same freshman term as Lert). 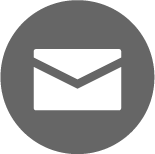 Lert served two terms and retired after Kukrit Pramoj (р╕Др╕╢р╕Бр╕др╕Чр╕Шр╕┤р╣М р╕Ыр╕гр╕▓р╣Вр╕бр╕К) dissolved the house in 1976, just months before the 1976 massacre. Suraphan, the seventh child, succeeded Lert in politics. He became a Chiang Mai MP. The peak of his political career was as Deputy Minister of Transport in Chatichai Choonhavan’s cabinet. There is one more family member who enter politics. Sujate (р╕кр╕╕р╣Ар╕Ир╕Хр╕Щр╣М) the fifth child also became the mayor of Chiang Mai city. Thaksin helped his father during Lert’s reign at MP. He often visited Lert’s office in Parliament and helped Lert’s election campaign. Yingluck’s story is the same. Politics is not a new thing to the fourth generation of Shinawatra children. Two most important family lines in fourth generation are Sak’s and Lert’s. Sak had four children. Two of them are top soldiers in the Thai Army. General Chaisit (р╕Кр╕▒р╕вр╕кр╕┤р╕Чр╕Шр╕┤р╣М) was the Army Chief and his brother General Uthai (р╕нр╕╕р╕Чр╕▒р╕в) is the Permanent Secretary of the Defense Ministry. Chaisit later entered politics as a Pheu Thai candidate in Ratchaburi. He lost in the 3 July 2011 election but he is still active in the Pheu Thai Party. Lert married Yindee Ramingwong (р╕вр╕┤р╕Щр╕Фр╕╡ р╕гр╕░р╕бр╕┤р╕Зр╕Др╣Мр╕зр╕Зр╕ир╣М), a descendant of the Chiang Mai royal family. They had 10 children. There is no need to talk about Thaksin’s biography any more. Let’s focus on his brothers and sisters who entered politics. Yaowalak was the first female mayor of Chiang Mai city. She died in 2009. Thaksin did not attend her funeral because of his exile. Yoawares had a silk business in Phuket and Pattaya. She then sold her silk business and moved to mobile phone and construction. She appeared in hi-class society. It is said that now she oversees Pheu Thai’s southern activities. Yoawapa or “Dang” (р╣Бр╕Фр╕З) was a key figure in Thai Rak Thai Party. Her husband is Somchai Wongsawat, 26th PM of Thailand. Somchai came from a justice career. A former judge, then Permanent Secretary of Justice and Permanent Secretary of Labour. One of their daughter, Shinnicha (р╕Кр╕┤р╕Щр╕Ур╕┤р╕Кр╕▓) is current Pheu Thai’s Chiang Rai MP. Payap is Thaksin’s only brother. He was a well-known investor in the Thai Stock Market. Now he oversees Phue Thai’s northeastern areas. Yingluck is the last daughter. She is the current Thai PM. Potjaman’s family is a police family. Her father, Samor Damapong (р╣Ар╕кр╕бр╕н р╕Фр╕▓р╕бр╕▓р╕Юр╕Зр╕ир╣М) was a Deputy Police Chief. Her brother and Thaksin’s friend, General Preopan Damapong (р╣Ар╕Юр╕гр╕╡р╕вр╕зр╕Юр╕▒р╕Щр╕Шр╣М р╕Фр╕▓р╕бр╕▓р╕Юр╕Зр╕ир╣М) was also a Deputy Police Chief. Potjaman has one adopted brother, Bannapot (р╕Ър╕гр╕гр╕Ур╕Юр╕Ир╕Щр╣М р╕Фр╕▓р╕бр╕▓р╕Юр╕Зр╕ир╣М). He was active in Shin Corporation and now his wife, Bussaba (р╕Ър╕╕р╕йр╕Ър╕▓ р╕Фр╕▓р╕бр╕▓р╕Юр╕Зр╕ир╣М) is the new CEO of SC Asset, after Yingluck’s resignation from the post. Preopan’s wife, Pensome (р╣Ар╕Юр╣Зр╕Нр╣Вр╕кр╕б р╕Фр╕▓р╕бр╕▓р╕Юр╕Зр╕ир╣М) also sits on the SC Asset board. The current SC Asset board members. Two from the Damapong family and the other one is Thaksin’s second child, Pinthongta. As in other political families around the world, a family member who gains the top job is often not the first one who entered politics. JFK’s political will comes from his father and maternal grandfather. Jawaharlal Nehru was the son of Indian National Congress core member. Thaksin got wealthy from the Shinawatra’s silk empire (though he started a much bigger telecom empire on his own) and political knowledge from his father and uncle. Finally he succeeded in achieving his (and his family’s) goal to become PM. Now is the time to pass his power to other family members. Unambiguously, Somchai and Yingluck’s premiership are “accidents”. But this kind of “accident” happens many time around the world (especially in Asia). In the longer term, we need to closely watch the succession of Shinawatra next generation. Pinthongta as a PM in 2030? Nice article…..Gives a good idea to all those on how to get rich. That is, it just does not come all of a sadden. The Shinawatra clan has a distant connection with Australia. In 1961 Thaksin’s cousin Surajit graduated from the Australian Army Officer Cadet School (OCS) Portsea. In due course he became a helicopter pilot, and was shot down and killed in operations against c0mmunist insurgents in Phrae Province in 1973. When OCS closed down, its roll of honour was relocated to the Royal Military College (RMC) Duntroon in Canberra. Surajit is listed as Captain S. Chinvat. This is not the correct transliteration of р╕Кр╕┤р╕Щр╕зр╕▒р╕Хр╕г, but then neither is Shinawatra. According to the official Thai government system, it should be Chinawat. The article says that “Chiang” helped pioneer the silk industry, which is where the original Shinawatra $$$ came from. I note that in Sarassawadee Ongsakul’s “History of Lanna”, “Chiang” acquired his wealth in a short time as a tax collector and then moved into moneylending. Sarassawadee notes that the role of tax collector at this time was a bought position (ie. you bribed to get it) with the expectation of a large return. At what point did “Chiang” move from tax collecting and moneylending into the silk trade and did he ever completely give up the former? The Chinese Thai have for the most part done very well in Thailand. They now run many of the large businesses, occupy government, bureaucracy, police, army etc. Many still speak Chinese, go to Chinese temples, follow Chinese rituals and feel superior to “lazy” dark skinned Thais. They prefer to do business with other Chinese and seem to have avoided problems as with other ASEAN countries. Having had a Thai Chinese wife for 10 years these were my observations. Not to confuse that I ever had issues with them as I don’t, they always treated me well. Businesses aside how many half western Thais has anyone seen in similar positions? I’m really not sure I understand what your point is here. Yes Thai business is heavily dominated by Chinese-Thai which developed through “kongsi” relationships. The history goes back to at least the early 20th century when large numbers of Chinese fled the turmoil of their homeland and then relied on the personal networks they had to establish businesses in their new country. Being successful they have of course continued in this method to the present day. Thaksin’s autobiography published soon after he became PM tried to make out that he came from a very poor Northern family and he tried to tell people he was Mon rather than Chinese. I also remember a ludicrous episode, early in his first administration, when he pretended he had had a misunderstanding due his limited command of Central Thai since he grew up speaking Northern Thai. Perhaps he meant to say Hakka. Paul Rivett. There are also accounts that have Chiang accumulating his seed money from opium trading which was of course legal then. Perhaps some more research into the family’s drug links, and possible links between this and the war on drugs would be useful in fleshing out the background of this clan. Mr Damage. The sheer numbers of Chinese immigration up till the early 50s and the ease with which they obtained residence and citizenship in those days makes it absurd to compare the Farang-Thai community with the Chinese-Thai community. In the peak years before the immigration quota of 100 per nationality effectively put a stop to mass Chinese immigration there were up to 5,000 new Chinese immigrants a year. Payap Shinawatra, the brother of ousted prime minister Thaksin Shinawatra and a member of the opposition Puea Thai Party, has been declared bankrupt. The order, which was published in the Royal Gazette on Tuesday, was handed down by the Central Bankruptcy Court on July 31 last year. Also declared bankrupt by the court was Shinawatra Thai Soft Co Ltd, which is owned by Mr Payap. The bankruptcy order was sought by Sathorn Asset Management Co, Mr Payap’s creditor. A bankruptcy order against Shinawatra Thai Co, another one of his companies, was published in the Royal Gazette last Wednesday. The Central Bankruptcy Court issued this bankruptcy ruling on July 30 last year as sought by Tisco Bank. In that era, tax collectors got a “concession” through a bidding process. That is the government (central, regional, or local) outsourced the tax collection process usually by district or town. So it was not a “bought position” and Chiang did not bribe to get the position. Thanks for the clarification. I guess I must have misinterpreted her writings. A lot of Thaksins wealth, influence and contacts came through his marriage into his wife’s highly connected dynasty. His wealth and influence grew enormously by contracts he secured through his X wife’s family. Through her he was able to secure contracts to supply pagers and computer equipment to the police force. It was these kinds of networks Thaksin needed to secure in order to move politically forward. Prior to this he was in business with PADs founder Sondhi who accused him of screwing him over. They ultimately became enemies yet both come from similar family backgrounds with similar family business practices. Thaksin’s X wife is a very smart, highly connected, influential women. It was through her cunning that her husband was able to steer himself to power. They both as a team knew how to work the system especially the manipulation of the vote. I think if the King merits only one volume of 300+ pages (TKNS), then Thaksin and Pojaman needs probably only 2 chapters to do them justice. Well, the king has tens of thousands of volumes, most saying much the same…. you ommited the part about the Lert’s connection to heroin trafficing, the false charges Thaksin leveled against his business partner in order to steal the cable tv franchise…the list could go on and on. Anyway, its nce to know they all are not elites but working class people, and are really committed to the welfare of the nation not just their own family. The headline caught my eye on Trending Posts. How on earth can it be ‘trending’ when the last post was over a year ago? Posts trend based on the number of readers over a 24-hour period. My guess is that because of President Obama’s visit to Thailand there were many people, on a Sunday, looking for information on a certain Prime Minister Yingluck Shinawatra. Google brings them to us, and thus the post “trends” — briefly. Such is the wonder of a site with almost 4,000 posts and over 40,000 comments. Hope that helps clarify the situation. Certainly, Mr. Damage’s observation is limited. Yes, the chinese have done very well in Thailand. Not all are successful like the Shinawatra. Capitalism in Thailand is of the “dog eats dog” style and is not for the faint of heart. FYI, not all chinese have lighter skin tone. Lighter skin tone can easily be achieved for a price by those whose money is not an object. Just as their Thai cousins, some Chinese are lazy too. The same phenomenon also occurs in Black and Caucasian. 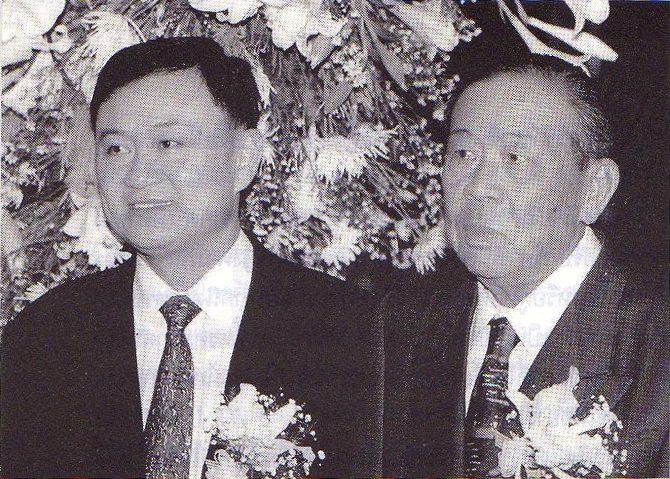 The stories that the Shin family’s seed capital was derived from the drug trade must derive from the period Chiang (or was it his father) operated a tax concession. These tax concessions were sold to Chinese to collect tax from their own communities not from Thais. The two main sources of this tax revenue were gambling and opium which was legal and was imported through a government monopoly. It is not unlikely that the tax gatherers also dealt in the product themselves. Yes, 60% of Thailand are Chinese-Thai and are smarter in general…rather its the first or second, etc. generation we still work hard to succeed at what we want…as oppose to lazy dark skin Thai which is the original Thai people.